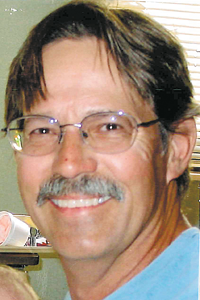 Steven A. Nagy, 66, of Port Clinton, passed away Sunday, Nov. 18, 2018, at Hospice in Perrysburg, following a short illness. Steve was born March 30, 1952, to Bessie and Steven Nagy. Steve married Dawn M. Kramer Nov. 9, 2002. She survives in Tiffin. Also surviving are five stepchildren, Sarah Kramer, Michelle (Jason) Scherley, Steven (Stacy) Kramer, Rachel (Nick) Widman and Brian Kramer; seven grandchildren, Jacob, Joshua, Ava, Rileigh, Roman, Emerson and Easton; and a sister, Beverly Szydlowski of Port Clinton. Steve had a close relationship with his cousin, Jeff (Phyllis) Deal of Texas; and his nephew, Brad (Deb) Agee of Bellevue. He was preceded in death by a sister and brother-in-law, Brenda and Fred Agee, and a brother-in-law, Terrence “Terry” Szydlowski. Steve served in the Marine Corps 1975-79 and was very proud of his service. He spent time in Okinawa, Japan, during his service. Steve worked for the Carpenters Local 2239 and continued to work part time with the union after his retirement. Steve had a great love for his dogs, Molly and Bobby McGee, who preceded him in death. His two other dogs, Nicky and Joey, are being cared for and loved by family. Steve and Dawn enjoyed traveling. They especially enjoyed time spent in Colorado. He also enjoyed tinkering and working on home projects. A celebration of Steve’s life will begin at 11 a.m. Saturday, Dec. 8, 2018, St. John’s Lutheran Church, Port Clinton. In lieu of flowers, donations may be made in Steve’s name to a charity of donor’s choice.